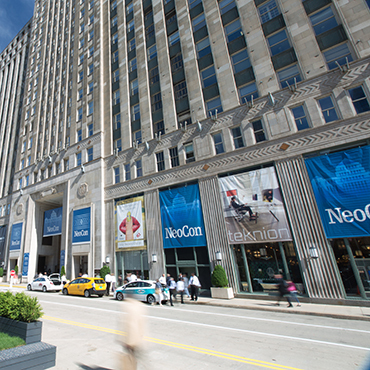 The 49th edition of NeoCon®, the premier, global platform for connecting, learning and conducting business in commercial interiors, will draw more than 50,000 design professionals from across the globe to The Mart, June 12-14. For almost five decades, NeoCon has served as a launch ad for innovation, offering ideas and introductions that continue to shape the built environment. 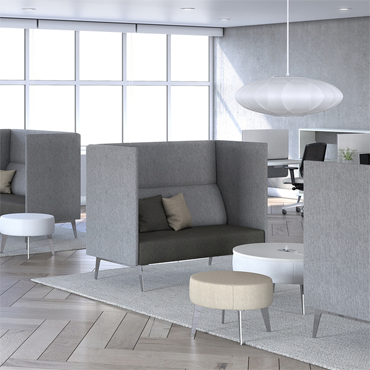 The industry's definitive gathering place, NeoCon, is where macro-trends such as "the future of the office' and "wellness" gain momentum and become part of the collective conversation. 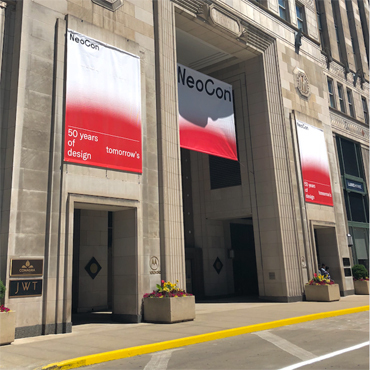 NeoCon showcases hundreds of leading companies across key vertical markets including Workplace, Healthcare, Hospitality, Retail, Education, Public Spaces, and Government. In addition to three full floors of permanent showrooms, NeoCon’s 7th Floor Exhibit Hall showcases the best products and services by category: Interior Building Products/Materials & Finishes, Furniture & Fabrics, Flooring, and Technology. • An insider, first look at the exciting prototypes, innovations, and new products that will make an impact in the world of commercial interiors and beyond. • Powerful keynote presentations, which will be held in the new NeoCon Theater (Motorola, 19th floor) each day of the show. • 100 + accredited seminars lead by top thought leaders. • Invaluable, in-person networking events with the industry’s key players. Who: Interviews with exhibitors, NeoCon show management, and keynote/seminar speakers are available prior to, during, or after the show. Open to the trade, media, C-suite executives, and other industry-related professionals. Media can visit the show’s online pressroom at www.neocon.com to download press releases and announcements. The site also features an image gallery and fast facts. Registration for NeoCon 2017 is required. The NeoCon 2017 website and complimentary online registration will go live February 6, 2017 at www.neocon.com. On-site Registration is $35. Keynote Presentations: Free. CEU Seminar Registration: $60 each in advance online; $70 on-site. Special Event Registration: Fees vary.